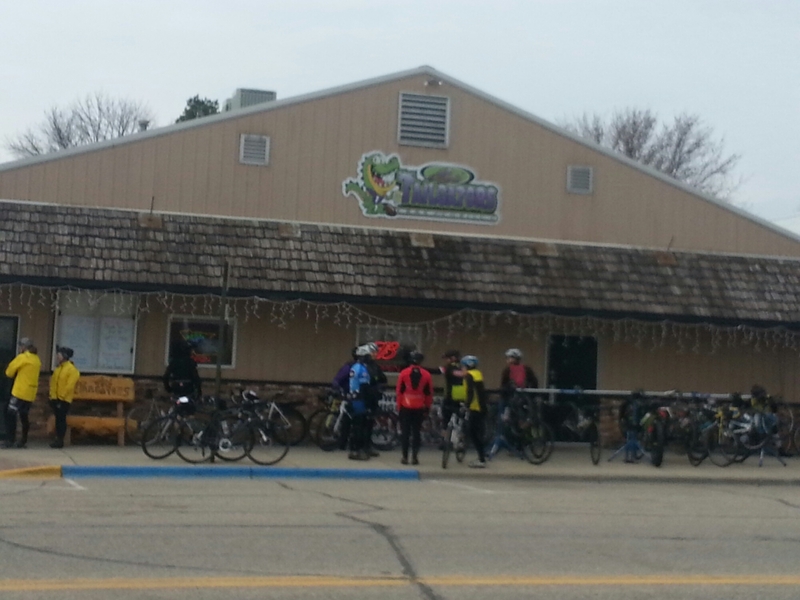 The skies grew lighter as the riders assembled in front of JJ Tailgator’s in Elgin. 9:20 orientation talk and a 2 mile rollout at 9:30 into the face of a strong headwind. Then the serious riding began. 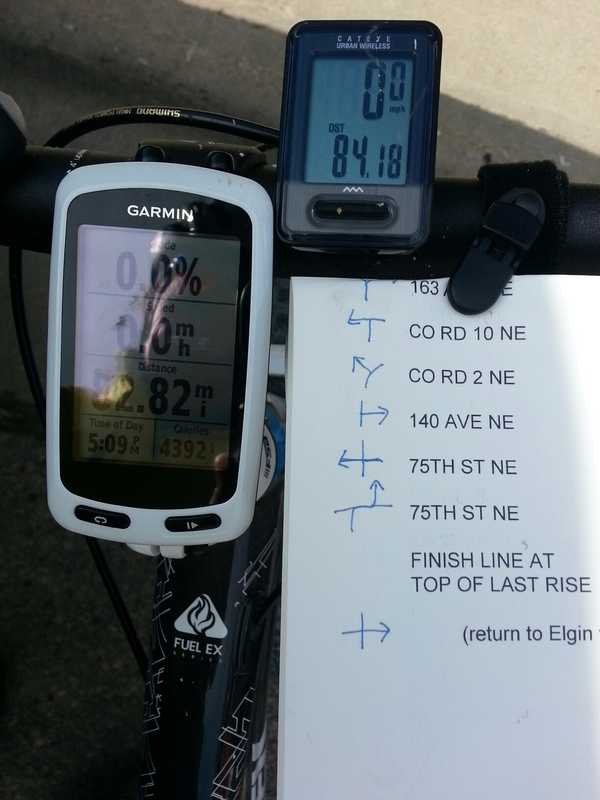 The race was billed as ~76 miles, the first cue sheets said 80.3… mostly gravel, mostly upwind and all uphill. Okay maybe not all of it. 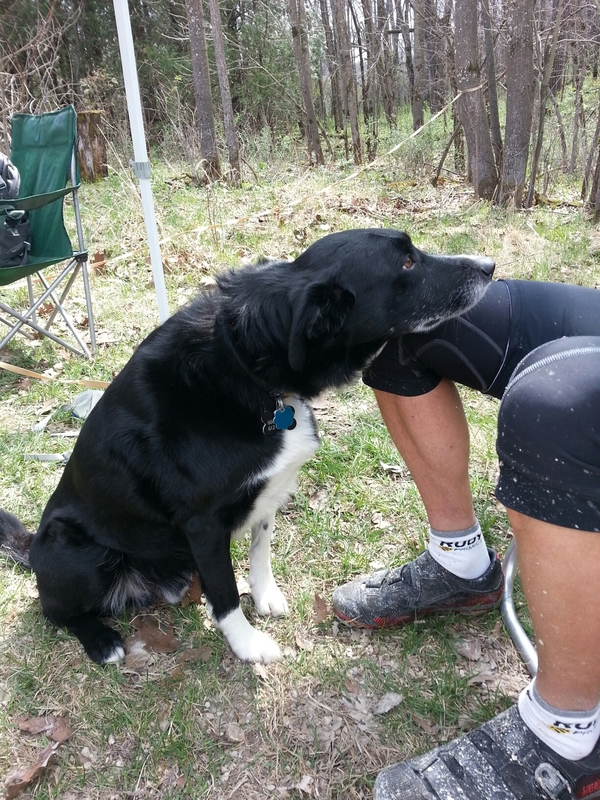 The check-in point at 48 miles was a chance to refresh, sample the strange assortment of food gravel riders think is a staple and pet Dickie, the namesake of the ride. Adding insult to my cramping legs, one of the hosts told us the leaders had been through an hour and a half ago…ouch.